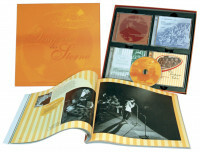 1-CD with 24-page booklet, 20 titles, playing time 79:57 minutes. POLYDOR - a name is legend. Since the 'Golden Twenties', shellacs, later vinyl and compact discs have been spinning under this global brand, initially with different coloured labels, since the beginning of the 1950s with the unmistakable orange label and the little stars or with the Polydor red introduced in 1963. Everything is pop, and pop is everywhere in the newly reunited Germany. On MTV and VIVA and festivals, in advertising, on the radio, while shopping, in restaurants, soon also from the computer: music sounds from all sides. Non-more-young people prefer to listen to mainstream rock, grunge, reggae, punk, alternative, (popular) hits. Boygroups and Girlgroups address the teenagers in a musical and dancing way. From the dancefloor corner, hip hop, house and techno blend into the pop stew. Techno? Even 30-year-olds wave off and confess not to be familiar with it. Those who move with their clique to the 'Love Parade' in Berlin, to the 'Mayday' in Dortmund or smaller 'Raves' on the weekend, are usually still on this side of the 20. 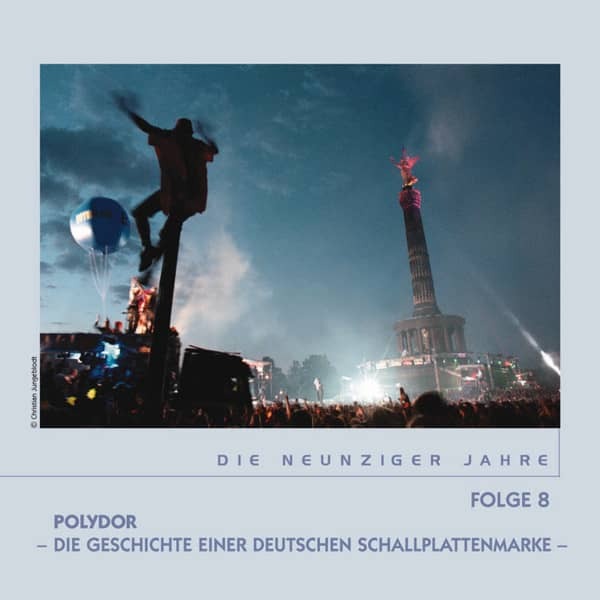 It's the techno tones that revolutionize pop music in the 90s - not only in Germany. Young sound inventors go into their music laboratories, especially in Berlin and Frankfurt am Main, work on computers and invent the sound of a new machine romanticism. For the first time young people make music on their own for their contemporaries, who are more involved in projects than in conventional bands and can even assert themselves internationally. DJs first play the new works of sample art in cellars and bunkers that are in danger of collapsing and become stars of the scene themselves. (For DJs the vinyl remains interesting as a carrier medium, otherwise the CD takes over from 1993 on. Beats per minute (BpM) become the measure of all things. 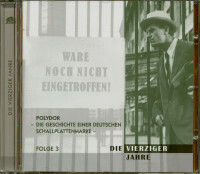 In 1995, about two fifths of all recorded sales (singles and albums) made in Germany were attributable to German copyright owners. With Polydor, Alex Christensen was one of the first to enter the pop charts at the end of 1991 with a techno dance track under the project name U 96. The boat then anchors between January and May 1992 on the first place of the sales hit list. There, at the top of the charts, another artist from Polydor series had positioned himself since 1990: Matthias Reim. His debut, Damn, I Love You, fuses lines of text based on the pattern of a children's count with a rocky package and hits the audience so hard that the industry is not just talking about a hit, but an eruption. Only dove can damn it, I love you escape. Even the singles pushed behind I've dreamed of you (1990) as well as I've been so looking forward to you make it effortlessly into the top ten. Matthias Reim had become the new German superstar almost overnight from nowhere. After 1992, however, his success faded again. Meanwhile, even optimists in Germany and Austria are starting to see a musical boom that is not considered possible. After the acclaimed en-suite productions 'Cats' and 'The Phantom of the Opera', whose music Polydor recorded as early as the 1980s, the catalogue was expanded during the 1990s to include 'Elisabeth', 'Miss Saigon', 'Les Miserables', 'Dance of the Vampires' as well as 'Jekyll and Hyde' - to name but a few. No other company is so well positioned in the field of musicals. In addition, in the second half of the 1990s the Irish boyband Boyzone, the Berlin duo Rosenstolz, the Italian tenor Andrea Bocelli, and the Dutch 'Waltz King of the Present', André Rieu, were newcomers to the list of more than 150 artists (from ABBA to Zucchero) at Hamburg's Polydor Contours. When the decade finally approaches the new millennium, Polydor meets the zeitgeist with a new department named after it. 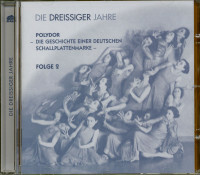 Zeitgeist got off to a good start in 1998 and was even awarded the 'German Dance Award' in 1999. For DJs and dance producers, this young Polydor department has become a preferred address. At this point, Polydor's 'Symphony of the Stars', which documents pop music in the 20th century in Germany, fades away. However, the symphony is not yet complete. The next musical movement is already in progress. 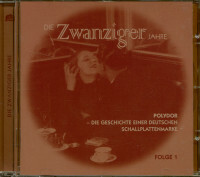 "Various - Sinfonie der Sterne"
POLYDOR - a name is a legend. Since the'Golden Twenties' shellac, later vinyl and compact discs have been turning under this world brand, initially with different coloured labels, since the beginning of the 1950s with the unmistakable orange label and the small stars or with the Polydor red introduced in 1963. Eight decades in the service of music. The Hamburg quality label with a creative guarantee has served all fashions and trends, all trends and styles: from pre-war hits to the sound of the big dance orchestras to the German hit that Polydor products have decisively shaped; from rock'n' roll and beat to the songs of the songwriters to the current pop spectrum with all its diverse content nuances - everything has found its place. Countless hits have been released over the decades. Superstars in the making made their first musical attempts on Polydor, many performers remained day flies, still others provided solid examples of their skills for many years - and often still present it today. Polydor, the name stands for national greats like Peter Kraus, Freddy Quinn and Peter Alexander, he also stands for an international group of artists with Abba, Beatles, Bee Gees, Caterina Valente and many others. The content of this attractive and spectacular 8-CD-Box plus 1 DVD is accordingly wide: with chart successes and curiosities, with sought-after rarities and melodies that still provide the good tone several years after their first release - for a SINFONY OF THE STARS. The CDs are also available separately. Customer evaluation for "Sinfonie der Sterne, 90er Jahre"